Most of us have a preconceived notion about holidays, which precisely about spending time doing nothing. Watching time passes by while on the holiday is for those who had enough entertainment in life (entertainment can never be enough), but those who know how to enjoy the life to last minute would prefer fun with luxury instead of mere a luxury. 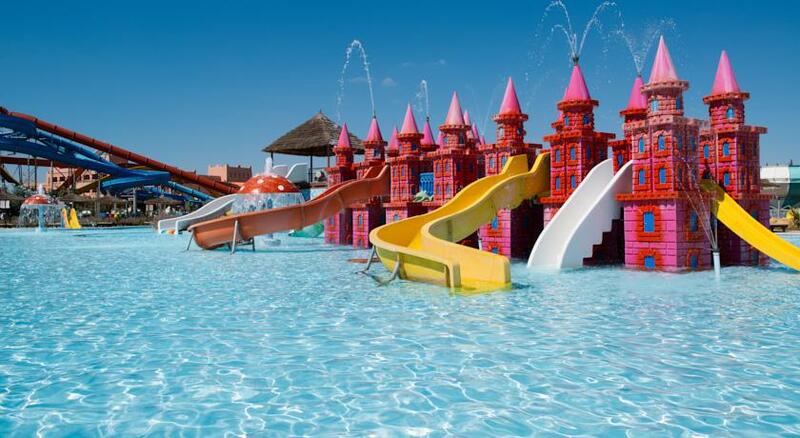 For those who demand something more from the life, HooplaHotels takes them to Be Live Family Aqua Fun in Marrakech, Morocco. Be Live Family Aqua Fun isn’t just a resort where you have all the world’s luxuries, but it is the biggest waterpark in Marrakech that blends fun with the luxury like no other resort in Morocco does. In the backdrop of the Atlas Mountains, This 5-hectare resort is the ultimate destination for those wishes to enjoy the most exciting holidays in Morocco. 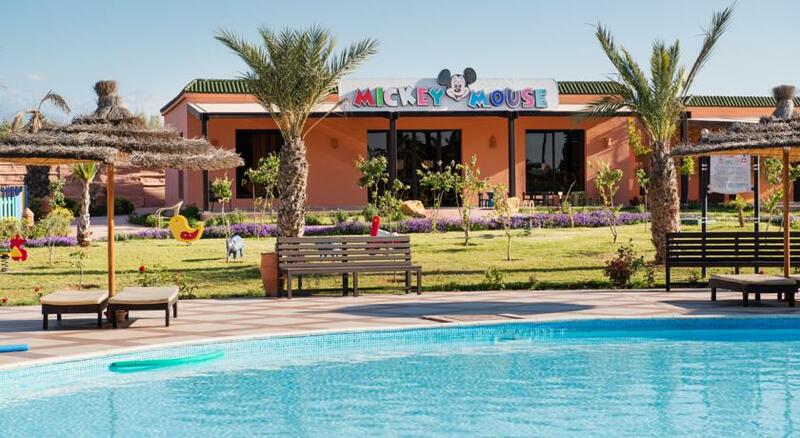 Surrounded by shaded olive trees, this self-contained resort is designed for families with young children to experience the unmatched fun of life. 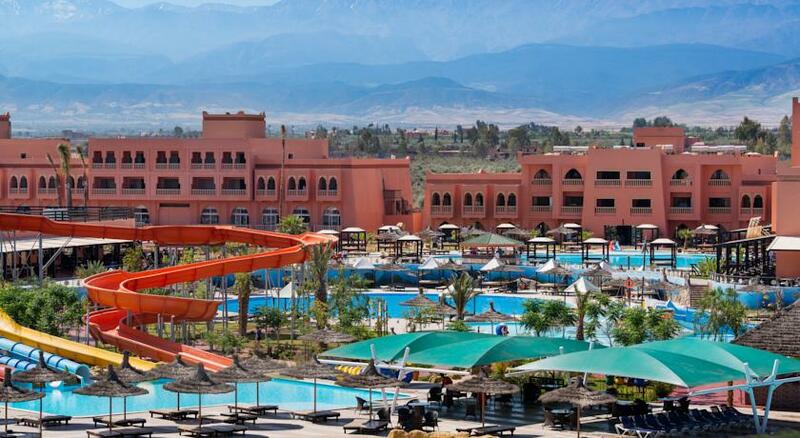 Be Live Family Aqua Fun is an exclusive area 11 miles south of Marrakech and 18km away from the airport of Marrakech, while the historic medina is about a 25- to 30-minute drive away. The resort has 15 outdoor swimming pools and a wide range of water rides for kids and adults alike. It also has 2 indoor pools for kids and adults separately. Needless to mention that the Be Live Family Aqua Fun has 21 water rides for the adults and 37 fascinating water rides for the kids. It also has a separate playground for kids with a wide array of games and a kid’s club for kids under 12. 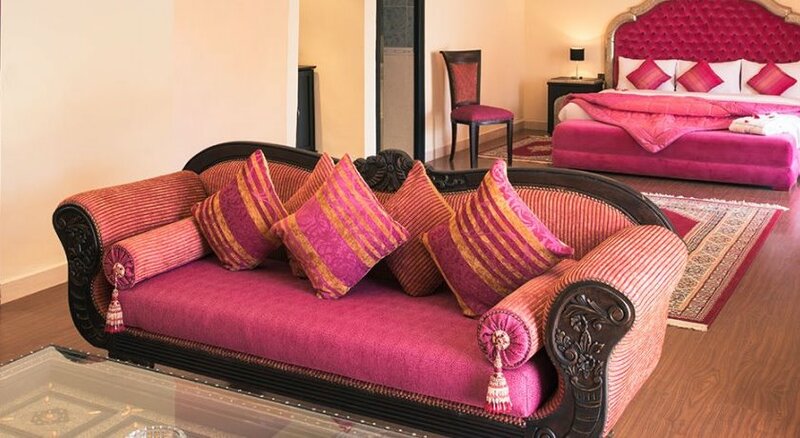 Be Live Family Aqua Fun offers 4 types of luxuriously built rooms designed with a Moroccan character and junior suites for larger families. Each of the rooms and suites is having either a balcony or a patio to absorb the fascinating views across the resort. Each room is equipped with king size bed, TV LCD 52 with satellite channels, international direct dialing phone, voice mail, individual air conditioning control, smoke detectors, safe deposit box, mini bar and hair dryer. At Be Live Family Aqua Fun, you would be treated with sumptuous Italian food and local Moroccan food in 11 different restaurants, cafes, and bars. While Mediterranean restaurant excels in the buffet for kids and late breakfast, L’Asiatique specializes in Asian cuisine. 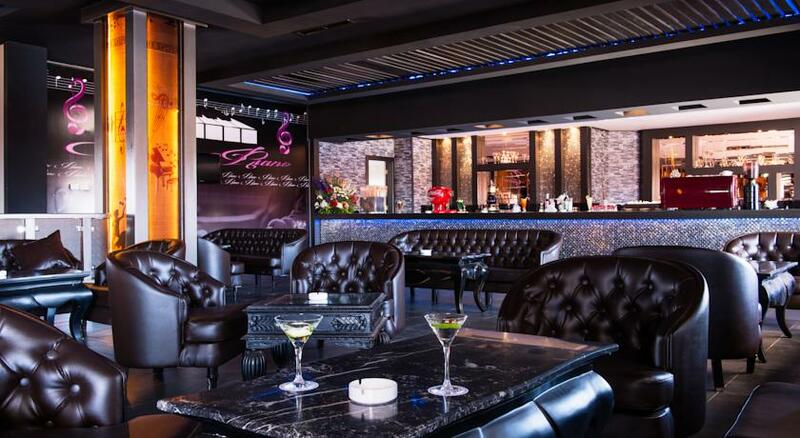 Lovers of the most exquisite traditional Italian dishes can sample them at an Italian Restaurant and those with a special liking for premium wine can visit Afandina Bar and Piano Bar. Certainly, you would not want to miss the exquisite spa service at Be Live Family Aqua Fun. A range of traditional and Asian beauty treatments will enlighten your senses and would ensure you return to your home with full of energy and charm. The icing on the cake is always there when you visit HooplaHotels.com. You would be drenched in fun and luxury at Be Live Family Aqua Fun with 5% additional discount for visiting HooplaHotels.com. So book your berth now and enjoy the fascinating holidays during the summer.